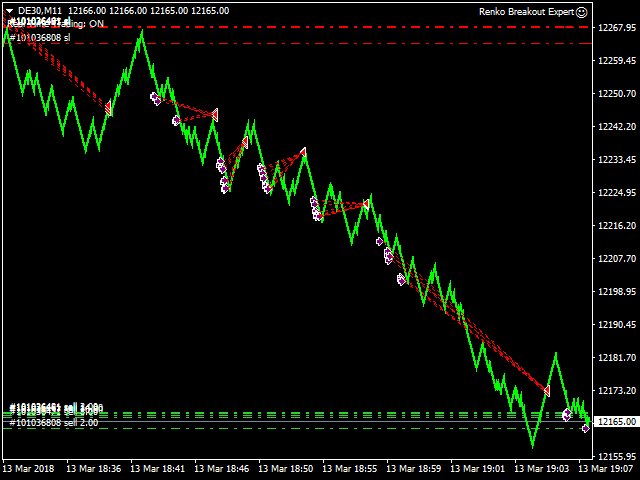 The Renko Breakout Expert is as said a breakout automated trading system, meaning that it is very efficient in a breakout trading scheme. 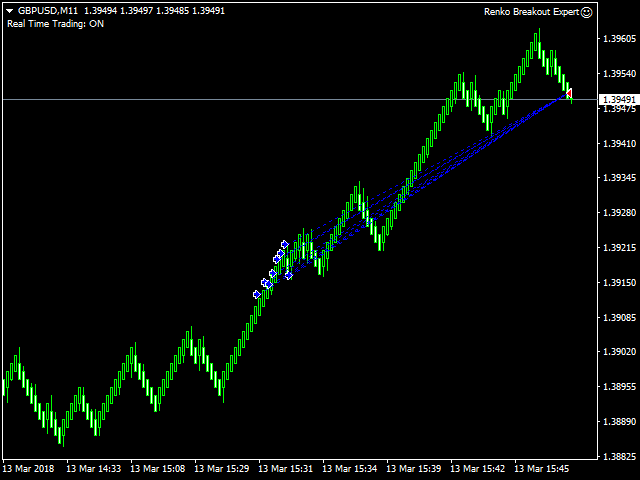 We are using a new charting technique (to some traders), which is Renko charting, it is a kind of chart that will help us reduce the market noise since it only plots bars when price moves and not when time passes. 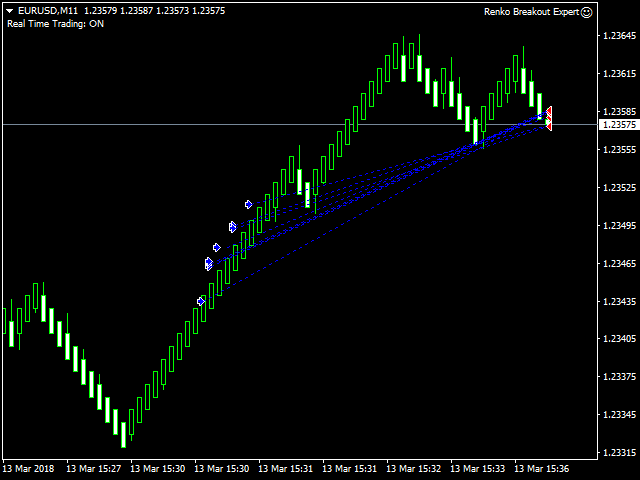 The EA uses Relative strength index to execute the trade entry and MACD and ADX for filtering. 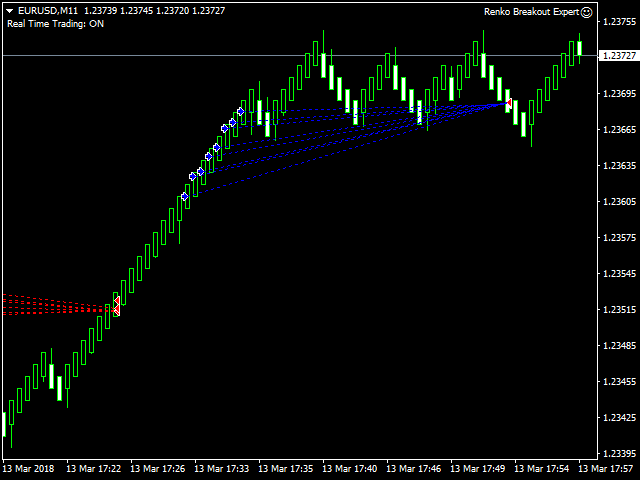 All you need is to find a proper broker, set your proper Renko box size and optimize. Days Banned - Days not to trade on, 0 - Sunday, 1 - Monday etc... Separated by commas. In case of doubt in our product, we invite you to backtest at your own. 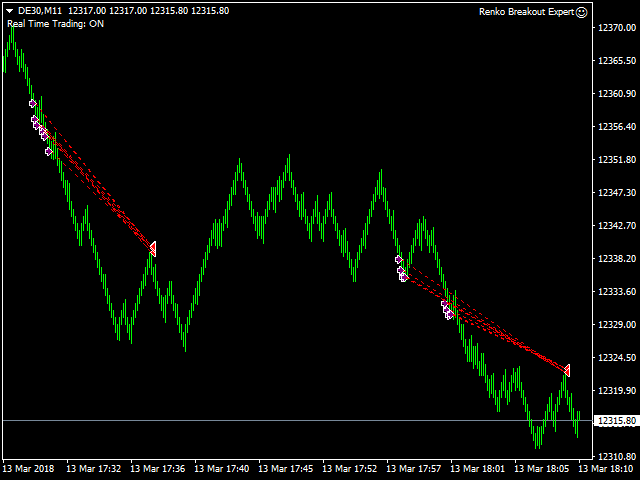 Install some third party tick data (make sure you use 99.9% tick data, crucial for Renko testing, this way you'll be able to achieve 99% Renko charts), then install a third party Renko Chart builder for backtesting. 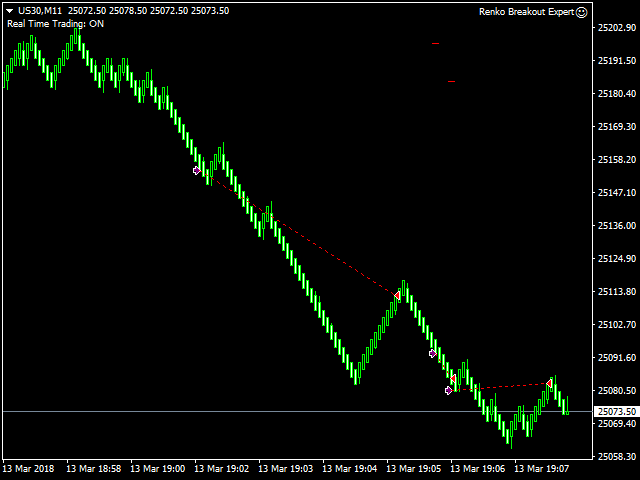 Please note that this is a breakout expert, most profits happen in high volatility pairs and news. Pick your pair wisely. 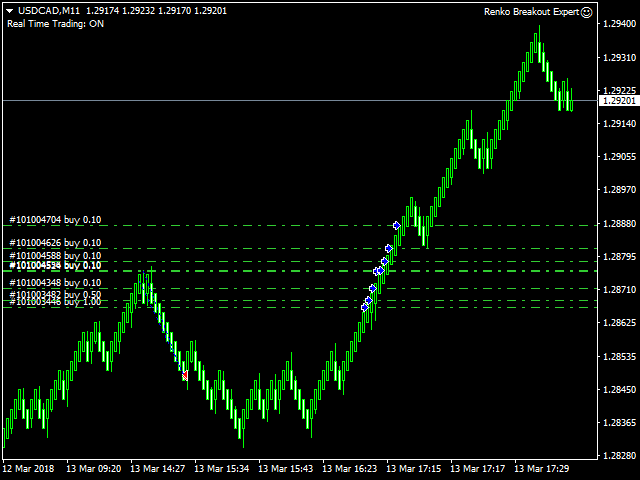 The Expert is mainly designed for Renko Charts, but it also works on Time charts, optimization is needed. 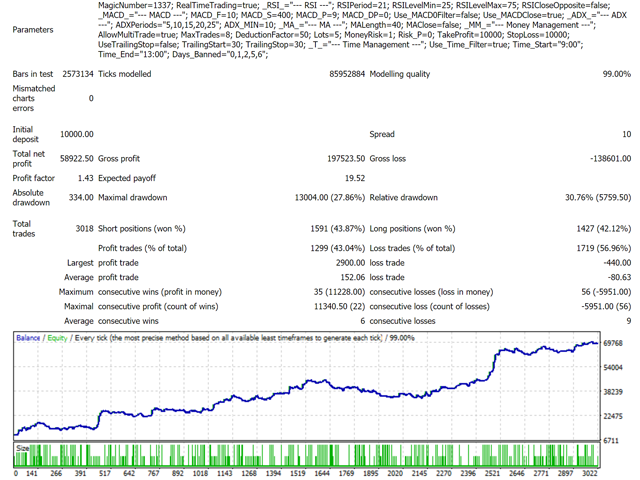 Note: Pictures below are from a live trading account.